What is the role of a CFO? In 1996, Scott Pate launched Sierra Piedmont (“SPI”). His vision has been to create the leading environmental consulting, site assessment, compliance, and remediation services firm. His firm has served a wide range of companies from Fortune 100 businesses to regional firms throughout the United States. 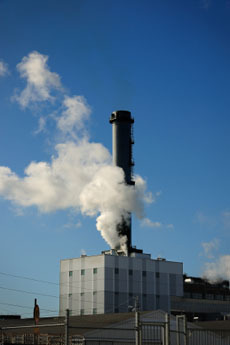 SPI’s innovative solutions and advice have helped its clients solve their environmental issues. Scott and SPI’s management wanted to get a deeper understanding of how they could realize improved cash flow and gain meaningful insight to the financial drivers of their business. SPI hired Trillium to provide a comprehensive analysis of its financial operations. Trillium used its CFO Financial Navigator™ to determine the key financial drivers in SPI’s business model. Trillium gained an understanding of SPI’s key business issues through a discovery session with management. SPI did their first Navigator about 8 years ago, and continues to update it quarterly, or at least annually, to compare it with previous results.